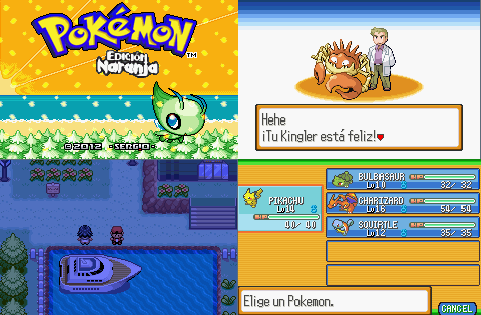 Pokemon Naranja is a hack of Pokémon Ruby, Sapphire&Emerald. The game offers to find the Archipelago Orange, as in season 2 of the anime Pokémon. You will need to choose to play or Sacha Ondine before crossing the six cities of Orange Islands. Pokémon of the first three generations are present, plus some of the fourth generation.